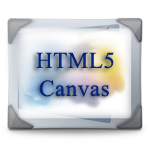 Canvas is one of the most sought after feature in HTML5. Developers like to use it for creating rich web applications. Users may use those applications without using proprietary browser plug-ins like Adobe's flash player. Most of the modern browsers like Chrome, Firefox, Safari, Opera, IE9 and 10 support it. In a moment we will see what canvas is capable of and how you may use it. If you're unfamiliar with HTML5, before diving into this article, try learning more here. What's the Canvas Element For? If you don't find this much exciting, please read on. 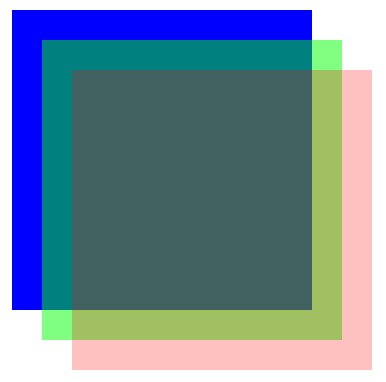 We will see how this boring rectangle drawn with canvas may be supercharged to provide you with an awesome graphics. Every canvas element has x and y coordinates. 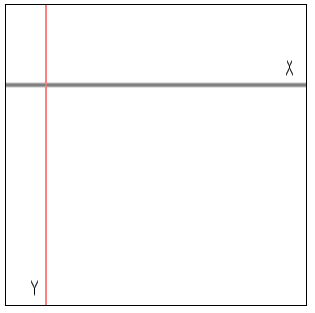 X being the horizontal coordinate and y being the vertical coordinate. The following image shows these coordinates on a canvas. The SVG has some advantages too. So which one to choose over another? to develop a resolution dependent, highly interactive and vector based graphics, choose SVG. If you to render graphics really fast, like in a game, or don’t want to deal with XML, choose the canvas. Actually, they complement each other while delivering real-world applications. With Hardware Acceleration enabled browsers, as a developer, you will be pleased enough. Because that renders the image/animations with the speed you desire your users should experience. Let's dive a bit deep. Modern desktops have a GPU (Graphical Processing Unit) along with a CPU(Central Processing Unit). When it comes to delivering fast image/animation, the operation is taken care by GPU, CPU continues server for the rest of the task, resulting in accelerated graphics performance. Chrome 27, Firefox 22, IE10, And Opera Next supports hardware acceleration and shows significant improve in rendering graphics. Each canvas has its own context, so if your page contains multiple canvas elements; you must have a reference to each individual context that you want to work with. scale - allows you to scale the current context. 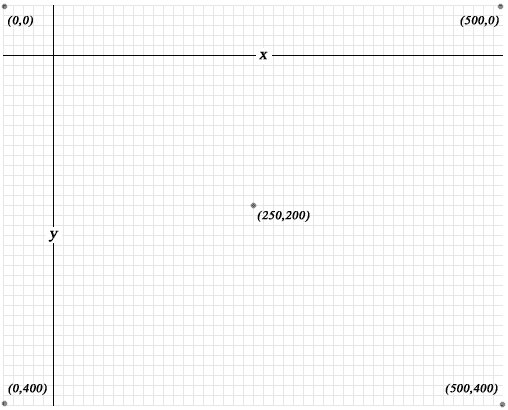 rotate - allows you to rotate the x and y coordinates of the current context. save - allows you to save the current state of the context. restore - allows you to restore the state of the context from a previously saved state. font - gets or sets the font for the current context. fillText - renders filled text to the current canvas. measureText - measures the current width of the specified text. In your HTML, include the following codes that define the canvas element, giving it a width and height. If a width or height is not specified, the default width of 300 pixels and the default height of 150 pixels are used. The canvas is initially empty and transparent. <canvas> creates a fixed-size drawing surface that exposes one or more rendering contexts, which are used to create and manipulate the content shown. We'll focus on the 2D rendering context. Other contexts may provide different types of rendering; for example, WebGL uses a 3D context ("experimental-webgl") based on OpenGL ES. The canvas is initially blank. To display something, a script first needs to access the rendering context and draw on it. The <canvas> element has a method called getContext(), used to obtain the rendering context and its drawing functions. getContext() takes one parameter, the type of context. For 2D graphics, such as those covered by this tutorial, you specify "2d". The first line retrieves the DOM node for the <canvas> element by calling the document.getElementById() method. Once you have the element node, you can access the drawing context using its getContext() method which returns an object that provides methods and properties for drawing and manipulating images and graphics on a canvas element in a document. //Always check for properties and methods, to make sure your code doesn't break in other browsers. You may add this to the bottom of your HTML document. 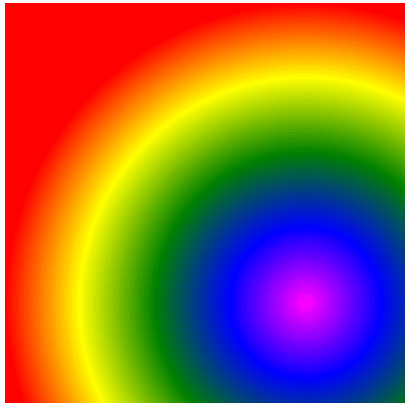 w3rcontext.fillRect(0,0,400,400);   //Fills a rectangle positioned at x and y, with a width and height of w and h.
w3rgradient.addColorStop("0","magenta");// Adds a color stop to a gradient. 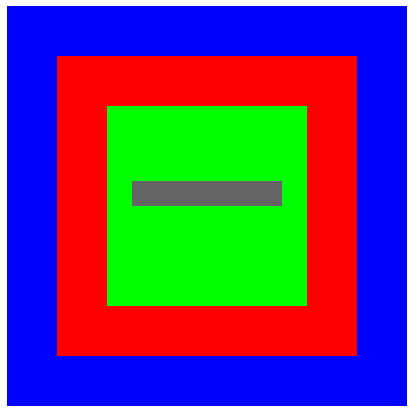 A color stop is a position in the gradient where a color 							change occurs. The offset must be between 0 and 1. A bit of explanation of what is needed to be done to create a simple animation with Canvas is as follows. function circle, function rect is used to create the circle which is moving and rectangle within which the circle is animating. function reset clears the canvas. function init creates the canvas and returns function animate. setInterval is set to 10 milliseconds, so every after every 10 milliseconds the circle is touching any of the surfaces. Radius of the circle is 10 and its origin is at (x,y). If we change change x and y, the circle moves. dx and dy are two variables to determine the amount of changes to be made after every 10 milliseconds. x is changed by dx as far as the value of x+dx is not greater than the width of the canvas or less than 0. When it is so, we reverse it by making dx = -dx. Similar concept is applied for y and dy. We have already seen the list Mobile Browsers support Canvas. But there are certain issues which you need to keep in mind. Canvas can be made to work with Web worker API through a canvas proxy other wise Web Workers would not reach DOM nodes.